20" BMW X5 with back 315/35/20 and front tire size 275/40/20. fits into by BMW X5 2007 4.8i ? My son has a 2003 x5 3.0 and want to change his rims and tires with 18 or 20 wheels in black. Can this be done? Hi,Sue,yes,But you should also tell your son that the front and rear wheels from BMW have different width,Normally,the rear rims have 0.5'' wider. Hi,john,Sorry,Can you tell me what the meaning of "Staggered wheels"?Is that a wheel brand?Normally,18'' is ok for BMW X5,but 20'' is you prefer,It is also good. …Staggered wheels are : the front tires & wheels are not as wide as the rear tires & wheels ie: new Camaros have 245/45/20 tires on a 8" wheel and the rear tires are 275/40/20 on 9" wheel. Same diameter different width tire. Also you can't rotate tires with a staggered set up,because most your high performance tires are directional and you can't swap right to left or vise-a-versa. Better off running a 4 Square configuration,all the same size & width tires,it will handle better and you'll get more wear out of the tires by being able to rotate them ,at least front to rear on the same side of vehicle.Good Luck. Hi,John,The 20'' widest tire for bmw x5 is 315/35/20,It is for rear.and 275/40/20 for front.I think you can take both 20*9.5 and 20*11 on your car with out adjustments in this tire,Because i saw many Bmw x5 take these on. Can I put 255x50x19 in the front and 285x45x19 in the rear of a 2005,3.0d,e53 bmw x5? Hi,nasir,285/45/19 can fit for front.255/50/19 can not fit for rear.Try 235/50/19. i mistakingly ordered some bmw e60 m series rims on ebay to go on a x5 wagon need to know will they fit ? Hi,Phil,yes,it can fit for your car. the offset for e60 may be low,You need some adapter. Hi,Mustafa,you mean you want to put BMW x5 rims on your audi A4?But they share the different bolt pattern .I suggest you would better not do that. Will 18" factory wheels fit my 2010 X5 M? I want to use them for snow tires. Hi, James,Yes,it can fit for,And you'd better concern more about the offset,The OEM offset for your car is 40mm. Hi,Danny,Can you show the 20'' wheel size?like wheel width,bolt pattern and offset? Hi, Richard,you need to buy spacer for both of your wheels,The spacer size you can try 5mm,for the hub centric,I think it is ok.
Can you mix profiles on BMW X5 e70? I have 255/50 x 19 all round (standard on vehicle). Front tyres are worn with new-ish tyres on rear. ATTuro. I want to rotate rears to front and put 255/55 x 19 Cooper LTZ on rear, my plan is to eventually have the Coopers all round for better off road capability. I have standard TPM feature. Is there any issue mixing 50 + 55 profile? Hi,Garry Burton,the diameter for 255/55/19 is beyong the normal tolerance.So,I do not suggest you to do that.If possible,For bmw,The rear wheel size is widder 0.5'' than front wheels,So the rear tire size need widder than front.In this way,the profiles need little lower compared with front. Thank you for your reply John, appreciate your time. It would be ok though to run the 255/55 x 19s all round then? Hi,Hugh,for spare wheels and tires,you can use both a set of 18'' tires and wheels. Hi,Hugh,runing three 20'' wheels and tyres and one 18'' wheel is not permitted.It will cause the driving dangerous. John the BMW approved space saver for the X5 with 20" wheels is itself 18" and fitted with a 155 90 18 tyre and presumably not considered dangerous by them. The 255 55 18 I proposed using in an emergency in case of a puncture is within 0.2% of the circumference of the OEM space saver and much nearer the width of the 20" tyres fitted to the car. Hi, Rey Garcia,Yes,you can do it.They are compatible. stud pattern is 5 x 120 ?? HI,louie,Normally,The rear rims width is widder 1‘’ than front rims.So i suggest that you can use 20*9.5‘’ as rear rims.For offset, 20mm is little small,but you can use spacers. Hi,Aaron O,The offset for x5 is 40mm,but it is 20mm for 750i,The offset is little small.You can put on some spacers on your car. Will wheels from my 2006 X5 fit 2010 x5? Hi guys, I wonder whether 2016 bmw x5m 20" 611m wheels will fit my 2016 bmw x5 m50d (original are 468m? Hi,Plamen Dragnev,If the original are 468mm,it is ok to fit on 20'' wheels.Just need to confirm again the offset. Big thanks for answer ! Hi,Egidijus,Yes,the tires and rims can fit for. sorry for bother you again, but i just got used original BMW Individual V-spoke 152 rims without tyres, so what tyres i should buy to fit perfect on the same car BMW e60 530d 2004? rims are: front 8.5j x 19 offset 14, rear 9.0j x 19 offset 18, i think it should be 245/35 and 255/30 is that corect? or the rear tyres should be 265/30 ? need your advise..
Hi,Egidijus,I think 265/30/19 is better ,Because the tire diameter error is not too much. Hi, just wondering if 2010 x5d 19 inches rims fits 2016 x5M? I am planning to use the 19inch rims as winter set. Hi,Dchan,Yes,It can fit for,They have similar wheel size data. Hi...I have a 2011 x5 50i and have 22x9.5 wheels with a et 35 offset. Will these fit my ride? Charts says it should be et 40 but that's for a 21x10 wheel. Please let me know. Thanks. Hi,Reth,The offset is not a question,They are compatible. Will an 2008 X5 19 inch alloys fit my 2006 X5 (e53 model) ? Of course there is a difference between winter set and summer sets in terms of grip, but would I be better off putting winter tyres on the 315/35 R20 wheels....will it give me more grip. Hi,Steve,If you feel the M50d is terrible in the snow,Can you describ the situation?According to the summer and winter tire size,the summer tire have lower profile and wider width than winter,It also means the summer rims is widder than winter rims.So,For your question,I do not suggest that you do that.You should find the reason of the terrible situation of your car.If it is truelly comes from wheels and tires,then you can do something. Hi,Gary,Range rover have different car models and bolt pattern,Which car model of Range rover you have? I own a 525i 2004 using 19" rim. I intend to use 18" rim with tyre size: 265/30R18. Can I proceed? Hello, I just bought 4 used 18" 2008 X5 rims for my 06 X5 but I didn't check to see if they will fit ok. I need new tires anyway and I like the 08 Rim style better and 18 will be a better ride. Will I have any issues with this decision? I am concerned now because I didn't check first! Please help with info!!! Will a 19" space saver wheel from an E53 x5 fit a 2013 m50d x6? Hi,G Westmoreland,Yes,it can fit for.And Can you also explain the space saver wheels?Does it is wheel type? Hi,Elle,235/65/18 is compatible for your car.For the steel wheel,you can buy 18*8.0 and same bolt pattern with your current wheels. Hi,Van,Yes,these wheels can fit for your car. Can I fit 295/35/20 on front of e53 x5 with 9.5 inch wheels? Hello. Is it ok to transmission and differential front wheel 295/30r22 and rear wheel 335/25r22? Hi,Koippa,For 335/25/22,it is not commonly user tire size.Are you sure it is true? Yes it is true. I get those wheels with car but I afraid it is not good for trans because diameter difference between front and rear axel. Tires is rear Vredestein Ultrac Vorti - 335/25 R22 (105Y) XL and front 295/30 R22. Rims is front 10" and rear 11.5". do you guys know if I can use/fit tires from a BMW X5 year 2003 in to my BMW X5 year 2005. These 2003 year tires come w the original BMW rims and they appear as they have been storage in a garage. What should I look for to make sure they are still good to use. thank you. Hi,Gustavo,Yes,it can fit for,you can check both 2003 and 2005 BMW X5 tires in this website and put them into the tire calculator also in this website.If the result between -3% to 3%.they are compatible.And According to my research,They are compatible. I installed a 2" lift kit on my 2013 MINI Cooper Paceman S All 4. Looking for a wheel that will handle a light truck tire. Will this fit my MINI? If I need spacers I can install them. If not, any ideas what will fit that can handle a light truck tire with some meat for a lifted R61. 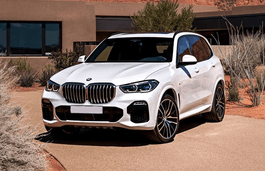 will vw touareg 20" tires fit on a bmw x5? 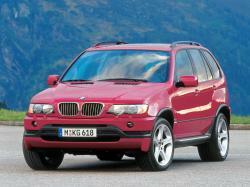 I have a 2006 bmw x5 3.0L. I just got a set of style 259 wheels from a 2014 bmw x6. Fronts are 20"x10" with 275/40 tires and the rears are 20"x11" with 315/35 tires. Will tgese rims need any spacers or hubcentric rings or do they fit the center bore measurement and mount right up?? Hi,Stephen,What is your current tire size and what the offset of bmw x6 rims?It can help to confirm whether they are compatible. So i currently have 17x7.5 inch stock wheels with 235/65 yires on them and the x6 wheels have an offset of 40 on the front rims and 37 on the rear. Bug: E53 8.5x18 wheels ETs are 48, not 46. I've been looking on eBay and wheel refurbishing websites, and there are no 2000-2006 E53 X5 8.5jx18 wheels with 46 ETs. All of their ETs are 48. Suggestions: Add highest GAWR/GAMR info, search feature. - In order to know if an X model wheel has enough weight capacity to be used on model Y, you have to spend some time looking for photos of the model's door jam sticker on eBay's junked car listings (e.g. look for a seat or belt buckle for that model), divide the highest GAWR by 2, and then compare it with the highest GAWR divided by 2 of the wheel receiving model. This will make it easier for people looking to upgrade their wheels using the ones available from a different vehicle manufacturer. This is suggested, unless you have a way of knowing the actual OEM wheel weight/mass capacity. - Search feature using wheel size, bolt pattern, max/min center bore, max/min GAWR, etc. as criteria, to avoid going browsing through models and speed up finding a suitable different manufacturer wheel replacement, to keep the vehicle OEM. Bug: E53 7.5x17 wheels ETs are 40, not 30.. I've been looking on eBay, and there are no USDM 2000-2006 E53 X5 7.5jx17 wheels with 30 ETs. All their ETs are 40. I'd recommend to check 8jx19 and 10jx20 too. I don't think they are ET30. They should be ET48, as they are in the EUDM and the JDM models. and I want to put them on a 2004 X5 - Will they fit? Hi,Greg,These two BMW car models stock rims share different offset,One for 21mm,One for 35mm.So they are not compatible. 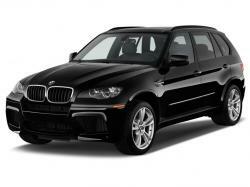 I'm looking at purchasing used wheels and winter tires from a 2009 BMW X5 for my 2012 BMW X5. Will they fit are will there be any issues with sensors? 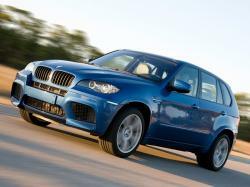 Hi,Fred,The offset of 2012 bmw x5 is 32mm it is very smaller than 2009 x5.So Do not suggest that you use it. I found another set of tires and rims; 255/55 R18 109H with rim 8.5 J x 18 EH2. Your thoughts on compatibilty with my 2012 X5? I am looking to change my E70 4.8i to 20" rims. looking to get the wheels from the 6 series with size 245 45 20 front and 275 40 20 rear. Is this possible? Hi,Duke,What your current tire size?I can help you cofirm it. Hi John, the current set is 255 50 19. I have 255/55/18 on my e53 and was wondering if I could use these for my (upcoming) 2014 f15, possibly for winters. Hi,Jay,Can you show your f15 tire size?I can help you confirm it. Hi, I have 2002 x5 4.4i sport pkg /w 255/50r19 front & 285/45r19 rear tires. Easy to find matches for front tires, not easy to find rear tire matches. Question, would 275/50r19, 275/45r19 or 295/45r19 tire sizes fit? & which size be the best replacement size?? Thanks for your help! 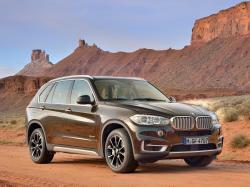 I have a 2013 BMW X5 diesel. Will 36116772250 rim fit? 18"X8 offset 43. I want to change to the 18" from the 20" rims. Hi,Matt Onken,you can change to 18'' and offset 43mm is also compatible. Hi I hae a BMW E53 3.0i 2002 model. What would be the right tyre size for front and rear? Thanks! Hi,Chri,For your car,you can try 235/65R17,255/55R18,	275/40R20,275/40R20 / 315/35R20,265/35R22 / 295/30R22 based on stock rims size. Hi,will wheels from a e70 fit e53? I have a 2014 BMW X5 35i and would like to customize all four of the rims with a spare set of rims/tires. Will a set of Tokyo XO rims that are 22x10.5 all around with tires 295/30 ZR. Will there be any issues with the offset, bolt pattern, and/or wheel well rubbing? Thanks for any input! Hi,Kyle B,For the tires,It is compatible with BMW stock tires,But for rims,What the offset and bolt pattern of tokyo XO rims?If the offset is 40mm,bolt pattern is 5*120,You can use it.If not,you need to show it.I can help you confirm it.